a pole vaulter's is his own worst enemy during an olympic jump. a prankster tricks bystanders into thinking he breaks his arm with the help of some realistic makeup. 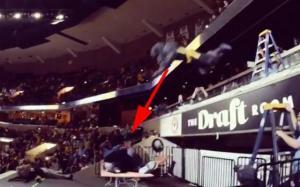 The Memphis Grizzles mascot does a dangerous jump off of a ladder and flattens a Spurs mascot through a table. 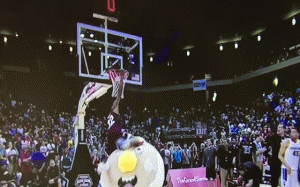 A pancake mascot is knocked over in a recent college dunk contest. reality sw star left red-faced after she bares her breasts in live tv wardrobe malfunction. 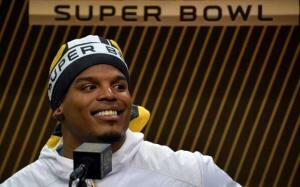 Cam Newton wins Super Bowl media night with a freestyle rap. 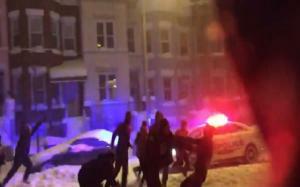 A Washington D.C. cop joins a snow filled neighborhood football game - unleashes a devastating stiff-arm. A guy is sent to the friend zone after getting trolled by the 'Kiss Cam' at a San Antonio Spurs basketball game. 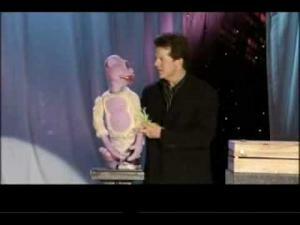 Comedian Jeff Dunham and a puppet friend named 'Peanut,' do a funny short bit about hair loss. A game show model falls during a filming of the show and breaks a stage light. 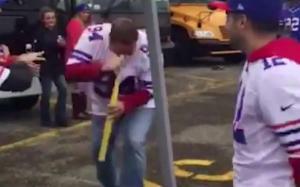 a man filming a small air-pump rocket has a hilarious reaction to it when he is pummeled in the face. 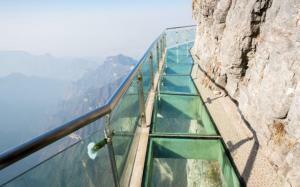 A guy with an extreme fear of heights freaks out while on the side of a cliff 4,700ft above sea level in China. NFL star Marshawn Lynch hilariously sells Skittles on a home shopping network. 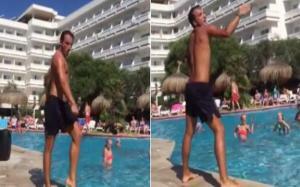 A fitness instructor channels Beyonc while giving water aerobics lesson.